Greg Mangiaracina, born and raised in the Big Easy, had never thought about moving. 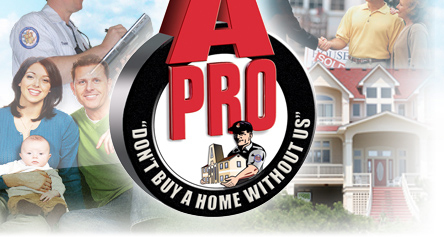 He had opened A-Pro Home Inspection in 1994 and, less than a year before Katrina, successfully began franchising the home-inspection company nationwide. He had expected a group of 12 new franchisees to come to his New Orleans training facility at the end of September. As the storm approached, 46-year-old Mangiaracina and his family evacuated to Atlanta, where on television they watched the surge break the levees and sweep into the city. That moment, he says, was decision time. He realized almost immediately that with airports shut down, and 80% of the city flooded, that bringing new franchisees to New Orleans — at least any time soon — would be impossible. The next decision? Where to move. After a quick contemplation of cities such as Chicago, Memphis, Tampa and Phoenix, he and his wife, Lynn, decided to move with their two sons to San Antonio, a city 500 miles away from New Orleans that had a decent population, good schools and convenient location. And, “it’s relatively safe from natural disaster,” he says. The uncertain period following Katrina “were the most critical days of our lives,” he says. “You normally would plan six months, maybe a year in advance to move.” Instead, working 18 hours a day at the hotel, he planned the relocation in a few short weeks. On Sept. 28, 2005, almost a month to the day the hurricane struck, he greeted the group of 12 franchisees at A-Pro’s new headquarters in San Antonio. “It still is surreal,” he says of the move, which happened so fast that his wife and kids still haven’t been back to New Orleans. “It was tough, but business-wise I know that I made the right decision.” The company has doubled its revenues and is on track to report $2 million in sales this year. This entry was posted on Tuesday, August 24th, 2010 at 2:17 pm	and is filed under Uncategorized. You can follow any responses to this entry through the RSS 2.0 feed. Both comments and pings are currently closed.